The 81-year-old Sen. John McCain (R-AZ) has been fighting brain cancer since July he lost that battle today and died just a few days before his 82 birthday. Rumors began to spread about who is going to succeed his Senate seat. A Republican likely named by Gov. Doug Ducey, will hold McCain’s seat until the next elections in 2020. The governor has remained silent on who he has in mind out of respect for McCain and his family. By Arizona state law, he must tap someone of the same party as McCain. But reports are suggesting that his wife is about to take his place in the Senate! Via Newsmax: “As Arizonans prepare for their final salute to Sen. John McCain, R-Ariz., Republicans and political pundits in the state privately tell Newsmax they expect the appointment of his wife, Cindy, to succeed him in the Senate. (Both of those who spoke to Newsmax did so under the promise of anonymity). Filling a vacant Senate seat should be about representing the people, not about emotions or honoring a late senator. The Senator should be elected by the people not anointed to the McCain family. McCain has been in Congress way too long and it’s time AZ gets a conservative rather than another self-absorbed McCain acolyte. 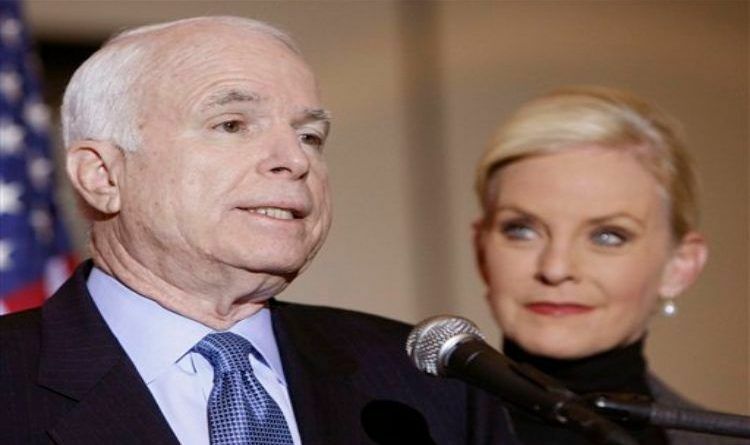 The idea of Cindy McCain being appointed is the exact problem with the entitled congress. Time the people of AZ start their protests against this! What do you think?